I spent some time complaining. Then I realized that as a long-time CEO and Chairman, I had fallen into the trap of being defined by my role: I had grown accustomed to having things explained to me. Instead of trying to figure out the nuts and bolts of a seemingly complicated technology, I had gotten used to someone else doing the heavy lifting. Why not study machine learning myself and then explain what I learned to others who were struggling with the same questions? That might help them and raise the profile of machine learning in Nokia at the same time. 2018-10-04 13:00:05+00:00 Read the full story. CloudQuant Thoughts… Nokia is one of those companies that I miss. I don’t miss that ringtone, but they were truly a technological marvel of a company. If this documentary is still available online it is well worth an hour of your time. It is great to see the current CEO, Risto Siilasmaa, continuing the Nokia tradition of excellence towards its people and its business. If you’re a parent with young kids, you probably know how arduous it can be to screen a babysitter. According to a Care.com survey, roughly 51 percent of families opt not to hire a sitter because it’s too stressful to find someone they like. And among those who have hired one, a whopping 62 percent didn’t bother to check their references. That spurred Sal Parsa and Joel Simonoff, the cofounders of Berkeley startup Predictim, to develop a no-frills solution that taps artificial intelligence (AI) to generate personality assessments from digital footprints. The eponymous Predictim platform, which launches today, uses natural language processing (NLP) and computer vision algorithms to sift through social media posts — including tweets, Facebook posts, and Instagram photos — for warning signs. 2018-10-04 00:00:00 Read the full story. CloudQuant Thoughts… This one is for my colleague Tayloe, he wants this for everyone he deals with online! OCC, the world’s largest equity derivatives clearing organization, announced today that total cleared contract volume in September reached 365,152,938 contracts, up 8.7 percent compared to September 2017 volume of 335,867,813. OCC’s year-to-date average daily cleared contract volume is up 18.6 percent with 20,209,877 contracts compared to 17,038,958 contracts in 2017. 2018-10-01 19:54:10+00:00 Read the full story. CloudQuant Thoughts… Investment News aggregators like John Lothian News are ideal jumping off points for new model ideas. As the Data Science and Machine Learning field evolve, there is a huge demand for a number of professionals who are skilled in this domain. When one starts with learning and implementing the techniques involved in building the models with the help of necessary libraries, it can be difficult to remember all the concepts. A flowchart or a cheat sheet will definitely help one to understand and remember the footsteps to build a robust model. In this article, we shall explore a couple of cheat sheets for machine learning tasks. For a given dataset, one can make use of the cheat sheets to handle various tasks with ease. 2018-10-04 11:23:49+00:00 Read the full story. CloudQuant Thoughts… This blog post is an oversimplification of what it takes to get up and running with machine learning but cheat sheets are great to have around. Paco Nathan‘s column covers themes of data science for accountability, reinforcement learning challenges assumptions, as well as surprises within AI and Economics. Welcome back to our new monthly series! September has been the busiest part of “Conference Season” with excellent new material to review. Three themes jump out recently. AI and Economics have surprises in-store. 2018-10-03 00:05:15-07:00 Read the full story. CloudQuant Thoughts… A very nice, well detailed (and long) blog post. Unfortunately a rare thing these days! When it comes to new technologies in email marketing, everyone’s attention is caught byartificial intelligence (AI). The talks about marketing teams replaced by robots in the near future make people feel a mixture of jitters and excitement. The majority of email marketers can only guess what are the potential implications of AI on their work. Very few specialists know how exactly they can apply AI in their email marketing activities. At the same time, marketing automation platforms add AI features to meet the trending demand for data-driven email campaigns and added segmentation. The enthusiasts, who were among the first to implement AI-functionality, already boast about the results they get. Simply stated, today AI helps answer the eternal questions about who to send what and when. To predict the right time and content that most likely will convert an individual recipient, AI takes into account maximum available data and does this in seconds. 2018-10-02 15:30:40+00:00 Read the full story. CloudQuant Thoughts… Reminded me of the “how Target figured out a teenage girl was pregnant before her father did” story. It is an amazing tale of Data Science and Machine Learning. An innovative proptech mortgage company backed by Savills has said it uses drug usage statistics gleaned from sewer monitoring to value homes prior to making loan offers. The extraordinary claim was made by Proportunity CEO and cofounder Vadim Toader at a Google Campus gathering in London’s Old Street tech neighbourhood this week. While explaining to a crowded room of fellow tech start-up entrepreneurs how his company values properties, he revealed that Proportunity’s data scientists use reports from official measurements of chemical compounds in sewers to determine levels of local drug use and therefore measure an area’s economic development. Attendees were shocked to hear that gentrification of a postcode can be measured by a reduction in crack cocaine residue present in local sewers. 2018-10-05 06:55:04+00:00 Read the full story. CloudQuant Thoughts… OK nothing to do with AI, ML ,BigData, Fintech etc and no idea why our algo picked it out but it is very interesting none the less!! The application of AI and deep learning can improve the results of IVF treatment by up to 50 per cent, according to Dr Michelle Perugini of Life Whisper. A critical part of IVF treatment includes analysing embryos to determine their suitability. Traditionally this step was completed by eye, with embryologists analysing images under a microscope to determine their viability – “A typically manual and imprecise process. It’s a huge accuracy uplift in picking the best embryos,It’s an area where there’s a lot of subjectivity, at the moment, in selecting the best embryos. It’s very difficult for clinicians to do that,” Perugini told Which-50. Images are scanned for complex patterns and features common in more healthy embryos, ultimately providing clinicians with information on which embryo has the best chance of success. “The AI essentially provides an extra set of eyes via the computer that can help them to make the best decision and pick the right embryos first time.” Perugini says clinicians can identify the embryos on either end of the quality spectrum with relative ease but “the 90 per cent in the middle” are difficult to assess. Adding AI and machine learning appears to have dramatically improved accuracy. Perugini cited two clinical studies which had shown adding the AI tool had improved success rates between 30 and 50 per cent. 2018-10-02 16:23:15+11:00 Read the full story. CloudQuant Thoughts… AI helping people have babies is just about the most positive use in the world. Imagine writing code that brings into the world little humans that otherwise would not have existed! Amazing! AI could “end famine” by spotting developing crises before they begin, says World Bank president. Speaking to reporters at Stanford University, Jim Yong Kim said AI could give aid workers as much as six months’ advance warning to stabilise potential famines before they spiraled out of control. The Bank is working with Amazon, Google and Microsoft to develop a system called Artemis that would trawl through data from satellites, food prices, weather records and social media and analyse it for signs of trouble. The AI system would be linked to a funding mechanism which automatically releases relief money once certain thresholds are met, rather than waiting for a famine to be officially declared. Mr Kim said: “This could actually end famines. We are getting information well ahead of time instead of waiting until the fifth stage of famine. 2018-10-03 00:00:00 Read the full story. CloudQuant Thoughts… And if it is not helping to bring babies into the world, it is helping the poorest most desperate in the world out of horrendous situations. Oh… and Skynet! Marketers have plenty of ways to measure video campaign success, but artificial intelligence is uncovering new methods for determining whether the dollars you’re spending are being applied optimally. That’s what video insights company YouFirst is offering, and a recent study of one of its clients, spanning 13 video campaigns over two years, is revealing. Even with the latest and greatest analytics tools at the brand’s disposal, AI and emotion tracking are opening up new insights. More importantly, AI is showing where to make changes to a campaign so it hits its exact target market — and when to pull the plug. YouFirst works by allowing a focus group of video viewers access to the content through its player, which — with permission — monitors the facial expressions of the consumer via a webcam. The AI and platform YouFirst developed can determine whether the video is eliciting an emotional response during playback, and it can understand the difference between six main emotions; anger, disgust, fear, happiness, sadness, and surprise. 2018-10-05 00:00:00 Read the full story. CloudQuant Thoughts… In 2013 prior to the launch of the Xbox One Microsoft told advertisers that its new “always on camera” could tell them how many people were in the room watching an advertisement, their ages, heart rates, muscle tension, whether or not they were smiling. So YouFirst seem a little behind the curve.. make that a lot..
A couple of neighboring Silicon Valley data platform makers who have been competing in the Hadoop data storage and analytics market are finally joining forces–to the surprise of not many people in the enterprise IT world. In fact, some industry observers were wondering why it took so long to happen. Elastic went public today on the New York Stock Exchange in what could be one of the big data industry’s hottest IPOs of the year. Elastic started selling shares this morning under the ticker symbol ESTC at $36 per share. Oversubscribed demand led the Mountain View, California-based company to raise its price target from $26 to $29. Mike Volpi of Index Ventures started investing in open-source software companies when it wasn’t clear if they could make much money. This past week — more than any before it — has validated his conviction that they can. On Wednesday, Hortonworks, a big-data software company backed by Volpi, announced that it was merging with competitor Cloudera. Two days later, another one of Volpi’s companies, Elastic, started trading on the New York Stock Exchange and doubled in value in its debut. 2018-10-07 00:00:00 Read the full story. CloudQuant Thoughts… Not much to add here except that news regarding this merger, IPO and Investment took up a significant portion of this feed this week. Either they are very important or someone has a great publicist! Working on their earlier vision of making development in artificial intelligence faster and more interoperable, Facebook on Tuesday announced their first-ever PyTorch Developer Conference, where they introduced updates about the growing ecosystem of software, hardware, and education partners that are deepening their investment in PyTorch. According to a report, an unspecified number of engineers are collaborating to make the open source machine learning PyTorch framework by the social media giant work with Google’s Tensor Processing Units (TPUs). This collaboration is also reportedly one of the rare instances where these tech giants are working together on a project. Rajen Sheth, director of product management at Google Cloud said in a blog post, “Today, we’re pleased to announce that engineers on Google’s TPU team are actively collaborating with core PyTorch developers to connect PyTorch to Cloud TPUs. The long-term goal is to enable everyone to enjoy the simplicity and flexibility of PyTorch while benefiting from the performance, scalability, and cost-efficiency of Cloud TPUs. 2018-10-03 06:00:51+00:00 Read the full story. Welcome to the September edition of our popular GitHub repositories and Reddit discussions series! GitHub repositories continue to change the way teams code and collaborate on projects. They’re a great source of knowledge for anyone willing to tap into their infinite potential. As more and more professionals are vying to break into the machine learning field, everyone needs to keep themselves updated with the latest breakthroughs and frameworks. GitHub serves as a gateway to learn from the best in the business. Train Imagenet Models in 18 Minutes – You need to have Python 3.6 (or higher) to get started. Go ahead and dive right in. Pypeline – Creating Concurrent Data Pipelines – This repository contains codes, benchmarks, documentation and other resources to help you become a data pipeline expert! What Happens when an Already Accepted Research Paper is Found to have Flaws? – The original author of the paper took time out to respond to this mistake. Having Trouble Understanding a Research Paper? This Thread has All the Answers – That’s exactly what this thread aims to do. How can you Prepare for a Research Oriented Role? – this thread is an enlightening one with different takes on what the prerequisites are. 2018-10-04 10:43:30+05:30 Read the full story. Somewhere in a data center in Fremont, California, exists a large computer cluster that’s hoovering up every piece of data it can find from the Web and using machine learning algorithms to find connections among them. It’s arguably the largest known graph database in existence, encompassing 10 billion entities and 10 trillion edges. No, it’s not some secret government project to catalog the world’s information. In fact, the graph was created and is run by a private company called Diffbot, and in fact you can get access to it for as little as $300 per month. 2018-10-02 00:00:00 Read the full story. As society trusts more of its operations to autonomous systems, increasingly companies are making it a requirement that humans can understand how exactly a machine has reached a certain conclusion. The research efforts behind Explainable AI (XAI) are gaining traction as technology giants like Microsoft, Google and IBM, agree that AI should be to explain its decision making. XAI, sometimes called transparent AI, has the backing of the Defense Advanced Research Projects Agency (DARPA) an agency of the US Department of Defense, which is funding a large program develop the state of the art explainable AI techniques and modelling. Dr Brian Ruttenberg was formerly the senior scientist at Charles River Analytics (CRA) in Cambridge, where he was the principal investigator for CRA’s effort on DARPA’s XAI program. He argues XAI helps to identify bias or errors in algorithms and engenders trust in the technology. “Doctors aren’t going to tell someone they have cancer because the machine learning box told them they have cancer,” Ruttenberg told Which-50. 2018-10-08 00:07:23+11:00 Read the full story. Flying cars, virtual reality gloves, rock-picking robots, and the future of companies such as Boeing, eBay, Amazon, Redfin, and Nintendo. The 2018 GeekWire Summit was our biggest event yet, an action-packed national tech conference that explored what’s next in the innovation economy and brought together more than 800 business, tech, media and government leaders. The panel discussions and fireside chats on stage in Seattle covered a wide spectrum of industries: aerospace, e-commerce, real estate, philanthropy, education, and more. 2018-10-04 17:57:15-07:00 Read the full story. What do you call AI without the boring bits : Kubeflow? – Cassie Kozyrkov of Google AGAIN! Kubeflow: beautiful machine learning. Specifically, the beauty of the data scientist’s experience while wrestling into submission the beast that is machine learning in multicloud hybrid environments as an entire stack. Which, if you’ve tried to DIY it in the pre-Kubeflow days, was anything but beautiful. 2018-10-05 20:19:43.883000+00:00 Read the full story. Lawmakers in California took a crack at the malicious bot problem this week, when Governor Jerry Brown signed into law the B.O.T. Act (SB 1001), which prohibits automated, anonymous accounts from “[incentivizing] a purchase or sale of goods or services in a commercial transaction or [influencing] a vote in an election.” Effective July 1, 2019, chatbots on platforms with more than 10 million unique monthly visitors from the U.S. will have to disclose in a “clear, conspicuous, and reasonably designed” way that they’re not human. The legislation, which was jointly drafted by nonprofit consumer ratings group Common Sense Media and the Center for Human Technology, is the first of its kind in the U.S. Federal regulation might follow on its heels — Senator Dianne Feinstein (D-CA) introduced a similar bill in the U.S. Senate in June. And both have prompted debates about free speech. “Automation can be the ally of our prosperity if we will just look ahead, if we will understand what is to come, and if we will set our course wisely after proper planning for the future” – these words were spoken not by a tech CEO or even in recent history, but by U.S. President Lyndon B. Johnson in 1964. The possibility – and fear – of robots rendering human work unneeded has riveted us from almost the moment of their creation. I think that instead of being the enemy, automation in the workplace will save us from productivity declines attributable to changing demographics globally. We’re already seeing proof of this in RPA, as the use of offshore outsourcing has steadily dwindled due to a one-two punch of rising workforce costs and RPA getting better, faster and cheaper thanks to A.I. We might not need to employ as many people in the future, but that’s not such a bad thing in a future with fewer people. In order to get insights from data you have to play with it a little.. It is important to be able to extract, filter, and transform data from DataFrames in order to drill into the data that really matters. The pandas library has many techniques that make this process efficient and intuitive. And in today’s article I will list those techniques with code samples and some explanations. Let’s get started. 2018-10-08 00:44:35.221000+00:00 Read the full story. In today’s talent market, having cutting-edge technical skills and/or a CS degree is potentially a ticket to a lucrative career in programming, software development or engineering. But what if you’d rather do something different? Will you have to give up the opportunity to make big bucks? Not necessarily. Here are some examples of lesser-known tech jobs that pay hefty salaries (and are available today). Give Us One Minute and We Will Give You The World of Data Management Once Every Quarter! Subscribe FREE to DBTA Magazine Now! There’s a lot of conversation lately about all the possibilities of machines learning to do things humans currently do in our factories, warehouses, offices and homes. While the technology is evolving—quickly—along with fears and excitement, terms such as artificial intelligence, machine learning and deep learning may leave you perplexed. I hope that this simple guide will help sort out the confusion around deep learning and that the 8 practical examples will help to clarify the actual use of deep learning technology today. The field of artificial intelligence is essentially when machines can do tasks that typically require human intelligence. It encompasses machine learning, where machines can learn by experience and acquire skills without human involvement. Deep learning is a subset of machine learning where artificial neural networks, algorithms inspired by the human brain, learn from large amounts of data. Similarly to how we learn from experience, the deep learning algorithm would perform a task repeatedly, each time tweaking it a little to improve the outcome. We refer to ‘deep learning’ because the neural networks have various (deep) layers that enable learning. Just about any problem that requires “thought” to figure out is a problem deep learning can learn to solve. 2018-10-04 09:58:43+00:00 Read the full story. Data scientists at Deutsche Bank have developed an artificial intelligence tool that cuts through the flannel padding out the Environmental Social and Governance reports of most companies to analyse non-financial news and quantify the stock impact. Deutsche Bank’s Alpha-Dig machine is one of the first products developed by the Bank’s Data Innovation Group (dbDIG), which was set up to tap into the power of alternative data and AI to provide data-driven investment solutions. The bank trained A-Dig on data from 1000 organisations, using Natural Language Processing to infer the context of a typical ESG report and generate ‘buy’ and ‘sell’ signals accordingly. The tool is being used to cut through the positive spin and upbeat language that clutters company financial reporting and dig out the hidden meanings behind the ‘greenwashing’. The Bank says that over the years since the financial crisis, the average number of words per quarterly SEC filing is now about 20,000, more than double the number two decades ago, and annual filings have grown to 50,000 words. 2018-10-05 11:51:00 Read the full story. Machine learning (ML) is hot right now, and seems to be poised for a broader takeover of tech in the future. As jobs open up, we’ve identified the skills needed to land your next ML job. A recent study by Univa shows 96 percent of tech pros say the number of machine learning projects will expand over the next 24 months. Some 68 percent of respondents say their company has used machine learning increasingly in the past two years, too. Interest in a technology or skill typically aligns with job growth. We’ve seen ML jobs rise steadily over time, and there’s been a strong boost the past year or so as Google, Apple, and Microsoft have gotten serious about what machine learning is capable of. As each company rolls out their own developer tools, developer engagement and interest climbs. Tech pros can’t just apply for machine learning jobs without correlating skills, though. As we see in the chart below, the total number of ML jobs over the past two years has grown nearly 600 percent. From the beginning, one skill – ‘data science’ – has led the way. It’s no secret that organizations have been increasingly turning to advanced analytics and artificial intelligence (AI) to improve decision-making across business processes — from research and design to supply chain and risk management. Along the way, there’s been plenty of literature and executive hand-wringing over hiring and deploying ever-scarce data scientists to make this happen. Certainly, data scientists are required to build the analytics models — including machine learning and, increasingly, deep learning — capable of turning vast amounts of data into insights. More recently, however, companies have widened their aperture, recognizing that success with AI and analytics requires not just data scientists but entire cross-functional, agile teams that include data engineers, data architects, data-visualization experts, and — perhaps most important — translators. Why are translators so important? They help ensure that organizations achieve real impact from their analytics initiatives (which has the added benefit of keeping data scientists fulfilled and more likely to stay on, easing executives’ stress over sourcing that talent). 2018-10-18 16:00:00+00:00 Read the full story. Who’s ahead in the race to win the global AI race is the subject of intense debate, much of it centered on China’s all-out effort to dominate AI development and whether the U.S. can get its act together in time to keep pace. Few would dispute Beijing’s commitment to AI development, most pointing to its aggressive strategy that seeks to catch up with the U.S. and the rest of the world by 2020, becoming dominant by 2030. That has prompted policy makers to worry over the ability of U.S. companies to keep pace and how “general” AI will be used in the future. Despite huge federal investments in R&D, totaling nearly $500 billion in 2015, “the United States’ leadership in AI is no longer guaranteed,” warns a report released in September by the House Oversight and Government Reform IT subcommittee. The study is based on a series of hearings held earlier this year that included AI experts from industry, academia and federal research agencies. Tech giant Microsoft made the decision to announce that one of the top-tier cross-platform frameworks for model-based machine learning is open to one and all worldwide. “We’re extremely excited today to open source Infer.NET on GitHub under the permissive MIT license for free use in commercial applications,” wrote Yordan Zaykov, Principal Research Software Engineering Lead at Microsoft in an official statement. Open sourcing Infer.NET represents the culmination of a long and ambitious journey. The Microsoft Research Team in Cambridge embarked on developing the framework back in 2004. The statement said that they had learned a lot along the way about making ML solutions that are scalable and interpretable. 2018-10-08 11:12:53+00:00 Read the full story. 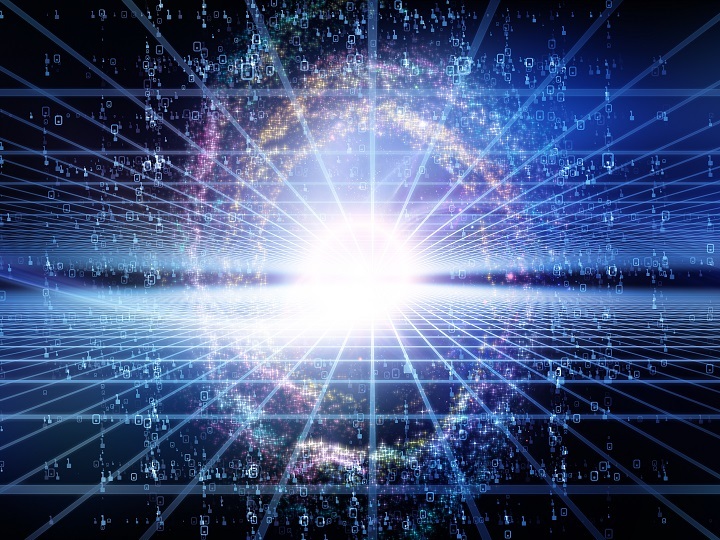 Data warehouse vendor SQream Technologies, which recently claimed a 15-fold performance increase with the latest release of its SQreamDB, has now added support for IBM’s Power9 architecture to its GPU-accelerated database. The New York-based database specialist with R&D operations in Tel Aviv, Israel, announced during an IBM OpenPower event in Europe on Wednesday (Oct. 3) that its SQream data warehouse will now combine the Power9 multicore design with its existing data warehouse accelerated with Nvidia’s GPUs. The combination would yield SQL query performance improvements of as much as 150 percent for Power9 users, the company claimed. When in industry more than 50% of new roles are driven towards a specific skill set and when projections from various recruiting companies shows the world being short of certain skilled people and employers are scrambling to find certain type of resources in the market and are willing to pay a premium to get them on-board then it is a clear sign that we’re in a hype cycle. The skill here is Data Science and resources Data Scientists. New Keyword, New Hype Cycle – Those who have been in the industry long enough can recognize this. A decade back industry was going crazy for a similar skill known as Business Analysts, who are now found dime a dozen in the market (apologies if I’ve hurt someone’s sentiments, but you can’t escape the truth). I know certain organizations where the certain preference is being given to Data Modelers, Data Analysts & data Scientists instead of sitting Business Analysts. Orders are simple, upgrade or get left behind. 2018-10-05 16:46:53 Read the full story. Natural language processing (NLP), one of the most exciting components of AI is all set to rule the way we communicate with the external world. NLP uses computational and mathematical methods to analyze the human language to facilitate interactions with computers using conversational language. Subtopics in this genre include natural language understanding of the inputs created by humans, and natural language generation, to focus on generating natural language narratives. The most popular approaches to NLP deploy Machine Learning. Natural language processing is improving human-computer conversations at the most advanced levels with applications or systems like Google Duplex, which can act as an agent to perform tasks like making haircut appointments over the phone by conversing with humans. IBM’s Debater Project Debater, a groundbreaking AI technology which can argue with the humans on complex topics is another stride attributed to NLP. 2018-10-05 18:31:11+05:30 Read the full story. Artificial intelligence (A.I.) is still reaching maturity as a technology, but a new study underscores that companies are very interested in it. We’re also getting a better idea of how those firms planning to use A.I. will implement it alongside their existing services. Globant’s new study queries “senior-level decision makers” in the United States, and was conducted over a week in February 2018. As you might expect, the study notes that CEOs are the most involved in how A.I. fits into their company, with almost half directly involved in artificial intelligence decisions. Department leads were second, surprisingly outpacing CTOs and CIOs (though it’s very possible many companies just don’t have people in those roles). Only eight percent say “all” employees are offered a chance to voice their opinions on artificial intelligence. The study found 20 percent of respondents don’t see how A.I. would have an “immediate impact” on their business (one-fifth of ‘decision makers’ simply don’t understand what artificial intelligence is at this stage). Another 32 percent say they think A.I. will be useful in automating routine tasks, while 48 percent say it will be handy for surfacing insights from massive datasets. Deep learning is all the rage these days, and is driving a surge in interest around artificial intelligence. However, despite the advantages that deep neural networks can bring for certain applications, the actual use cases for deep learning in the real world remain narrow, as traditional machine learning methods continue to lead the way. The rapid ascent of deep learning is arguably one of the least expected technological phenomena to have occurred in the past five years. While neural networks have been around for decades, it wasn’t until the University of Toronto’s Geoff Hinton paired those techniques with a new computational paradigm (GPU) and the availability of huge amounts of training data to yield what we now know as deep learning. Data access is a right, not a privilege. That philosophy may not be directly stated by companies, but certainly they have moved in that direction. Join that trend with the phenomenal growth in data from multiple sources in multiple formats and hosted across multiple venues (like the Cloud), and you can see how barriers to entry can expand for the increased number of users that want or need to get to data sets. According to a Dun & Bradstreet survey, three fifths of executives at 870 companies said their data is stored in silos, and only 20% reported that their data is fully integrated and leveraged across the company. “The real organizational problem is how do I make people able to discover the right data, to make sure it’s what they really want, and make it available to them? 2018-10-04 00:35:14-07:00 Read the full story. 2018-10-05 00:05:59-07:00 Read the full story. Xilinx officials earlier this year introduced a concept they called an adaptive compute acceleration platform—or ACAP—that essentially brings together multiple compute acceleration technologies, integrated networking, leading edge memory, software development tools and frameworks to address such modern workloads as artificial intelligence, big data and 5G networking. Officials with the FPGA (field-programmable gate array) vendor at the time said innovation in the industry was happening too quickly for compute processing technologies like CPUs from Intel and GPUs from Nvidia and Advanced Micro Devices to keep pace and called for a highly software programmable architecture that could quickly adapt to the changing needs. ACAP was the focus of what Xilinx engineers called its Everest project, an effort years in the making that cost more than $1 billion. Technologies often start out in one place and then find themselves in another. The architecture of the GPU was initially driven by the need for 3D graphics for video games, was co-opted as a massively parallel processor for HPC workloads, and finally became the engine for machine learning training, forever changing its architecture, particularly with the latest “Pascal” and “Volta” GPUs aimed at the Tesla accelerator lines. The changes in the GPU architecture to do machine learning better didn’t make GPUs any less valuable to gamers or HPC centers, but it is clear what is driving the technology. t the same time holding on to its old jobs as a network function accelerator for server adapter cards or network switches, just to name two important things that FPGAs do in the real world. But make no mistake about it, the FPGA, no matter what Xilinx wants to call it as it unveils the first of its “Everest” line of products, is first and foremost designed as an inference engine and whatever goodness that comes to these other workloads will be fortunate even if it somewhat coincidental. There’s no dearth of doomsday theories where it’s speculated that artificial intelligence would slowly take over the entire world — starting with jobs and sources of employment. While experts say that many jobs will be affected — not necessarily reduced — by AI, it all boils down to how wisely we allow technology to have an impact on us. For example, robots can help reduce the mundane and repetitive tasks, which can help explore human skills like empathy and creativity in effective ways. Automation can provide in routine work and put humans to the work that requires variability and creativity. 2018-10-05 04:32:05+00:00 Read the full story. …automation won’t prove a good thing for every tech pro. Many companies will look at these labor-saving tools and decide they can get by with smaller teams of technologists. While high performers will benefit from automation, it stands to reason that not everyone will survive when new, more sophisticated platforms come online. With that in mind, here are four tech jobs most at risk from automation and A.I. Artificial intelligence is a big deal in marketing technology. Forrester sees strong potential in AI as an enabling technology for marketing, and it’s great to see many vendors embracing AI to enhance existing offerings and as the basis for new solutions. But for vendors, mastering AI technology alone isn’t enough to get to the top. AI can be intimidating to buyers because it is opaque and difficult to evaluate. Vendors need to take a page from the branding playbook of the very marketers they are selling to. Because what AI-driven marketing applications really need to ensure success is a great name — something to humanize the technology and make it relatable beyond the ins and outs of APIs, classifications, and deep learning. Differentiation is what this game is all about for vendors, and gaining recognition is critically important in an increasingly congested landscape of AI-driven marketing solutions. But don’t worry: We’ve put together a handy flowchart to keep your AI solution branding efforts on track. 2018-10-04 23:29:19+00:00 Read the full story. Seismic events like the magnitude-9.0 earthquake that hit off the coast of Japan in March 2011 aren’t difficult to detect, but few are quite so violent. Microearthquakes — low-intensity earthquakes that register 2.0 or less magnitude on the moment magnitude scale — rarely cause property damage. And as a result of background noise, small events, and false positives, they’re not always picked up by seismic monitoring systems. A possible solution is described in a new paper from the Department of Geophysics at Stanford University, where scientists have developed an AI system — dubbed Cnn-Rnn Earthquake Detector, or CRED — that can isolate and identify a range of seismic signals from historical and continuous data. Enterprise companies comprise a $3.4 trillion market worldwide of which an increasingly larger share is being allocated to artificial intelligence technologies. By our definition, “enterprise” technology companies create tools for workplace roles and functions that a large number of businesses use. For example, Salesforce is the primary enterprise software used by sales professionals in a company. Also known as a type of customer relationship management software, or CRM, it is the system of record for sales professionals to enter in their contacts, progress of leads, and for sales metrics to be tracked. Any company directly selling their products and services would benefit from a CRM. 2018-10-02 07:00:21+00:00 Read the full story. The evidence of the profitable impact of data on decision-making is undeniable — largely because it is based upon real data. As early as 2013, research by Andrew McAfee and his team at Centre for Digital Business found that the organisations most strongly focused on data-driven decision making had four per cent higher productivity overall and six per cent higher profits. In other words, a quantifiable, significant edge over the competition. By 2015 Gartner, in its Data-Driven Marketing Survey, was suggesting that marketers expected most of their decisions to be quantitatively driven by 2017 and that, as a result, most companies planned on growing their analytics teams. 2018-10-08 00:09:40+11:00 Read the full story. With today’s high demand for data scientists and the high salaries that they command, it’s often not practical for companies to keep them on staff. Instead, many organizations work to ramp up their existing staff’s analytics skills, including predictive analytics. But organizations need to proceed with caution. Predictive analytics is especially easy to get wrong. Here are the first three “don’ts” your team needs to learn, and their corresponding remedies. Microsoft has rolled out updates to its various A.I. platforms for the enterprise, including Azure Cognitive Services. Some of those advances could place Microsoft in a position to compete directly with Google over next-generation features such as speech synthesis.The Microsoft releases took place in the context of this year’s Ignite conference, which is aimed primarily at tech pros and developers. Programming is a crucial prerequisite for anyone wanting to learn machine learning. Sure quite a few autoML tools are out there, but most are still at a very nascent stage and well beyond an individual’s budget. The sweet spot for a data scientist lies in combining programming with machine learning algorithms. Fast.ai is led by the amazing partnership of Jeremy Howard and Rachel Thomas. So when they recently released their machine learning course, I couldn’t wait to get started. What I personally liked about this course is the top-down approach to teaching. You first learn how to code an algorithm in Python, and then move to the theory aspect. While not a unique approach, it certainly has it’s advantages. 2018-10-08 09:11:22+05:30 Read the full story. Like many technologies, AI is now in a full-scale hype cycle, both in the industry and the societal/consumer mainstream. While it’s nice to have broad interest and appreciation in what we technologists and Data Scientists are doing with AI, having the spotlight on it can also be disruptive to our work. It can lead to expectations among the C-Suite that are out of sync with what we practitioners – or indeed the technology – are able to deliver today. Managing these expectations is as critical to the success of your AI projects as is any technological consideration. Here are a few expectations that might emerge as a result of the current hype cycle, and how to manage them in a reasonable way. 2018-10-08 00:35:08-07:00 Read the full story. Klaus Schwab, founder of World Economic Forum, and author of the book, The Fourth Industrial Revolution, said that there is no historical precedent for the speed of current technological breakthroughs, and that the Fourth Revolution is evolving at an exponential, rather than linear pace. 2018-10-02 00:35:51-07:00 Read the full story. 2018-10-05 04:00:00-06:00 Read the full story. Google CEO Sundar Pichai met with Pentagon officials during a recent trip to Washington DC, according to The Washington Post. Pichai sought to “smooth over tensions” after Google decided to sever an agreement to help the military analyze drone video footage. Google’s decision to sever the contract followed a protest by thousands of Google employees who objected to the company’s relationship with the military. But Google has never said it would stop working with the military on projects that didn’t violate the company’s values. What are the best ways to move from Matlab to Python. For many financial firms, it is a very pertinent question. I used Matlab extensively during my career, particularly when I was at Lehman Brothers. At the time, it was the best tool to rapidly develop market analytics and systematic trading strategies. Over the years, Python usage has grown and as a result, many folks are now thinking about migrating from Matlab to Python. From a personal perspective, I’ve switched over from Matlab and haven’t used it for many years. It’s true that not everyone necessarily wants (or needs) to switch from Matlab. Below, I’ve outlined reasons for switching and also the process you might use to migrate from Matlab to Python. 2018-10-06 00:00:00 Read the full story. As should be obvious by now, traditional fact-checking methods have failed to stop “fake news” from spreading like wildfire via social media circuits. From helping to bring gold investing to the masses to devising ETFs for short-selling hedge funds, Hector McNeil has been at the vanguard of the passive revolution for the past 20 years. Now, the 50-year old Yorkshireman is taking on the likes of BlackRock Inc. to shake up the industry in Europe. McNeil wants to fast-track the creation of passive products for wannabe issuers lacking in-house expertise or the stomach for execution risk through his firm HANetf, a white-label provider. And he has a high-profile backer: the venture-capital arm of Steve Cohen’s Point72 Asset Management LP. A spokesman for the firm confirmed the investment, but declined to comment further. 2018-10-04 09:30:13-04:00 Read the full story. Safety of artificial intelligence systems has become more important as great advancements are done in the field of machine intelligence. The Safety Research team at DeepMind has put together a framework to build safe AI systems. Comparing AI systems to a rocket, DeepMind researchers said that everyone who “rides the rocket” will also enjoy the fruits of great AI. Also like rockets safety is one of the most important ingredients of building good AI. The team says that guaranteeing safety is paramount and requires carefully designing a system from the ground up. 2018-10-08 06:20:11+00:00 Read the full story. 3 Stages of Creating Smart By William Schmarzo, Hitachi Vantara. The technology is advancing at a pace that should enable any company to create “smart” products, things and spaces. But how does one go about actually creating smart? Multilingual responsive design is an important tool and capability that has been made plausible by big data. Every website needs to provide a great user experience for its visitors. This is a principle that has been true since the earliest days of the Internet. However, it is becoming even more important, especially as user expectations are increasing and Google has started heavily relying on engagement statistics from analytics data as part of its ranking algorithm. This is one big reason that multilingual responsive design is so important and more achievable than ever. This has created some significant challenges for businesses that operate in different regions. If they don’t offer the best possible user experience for those customers, then their rankings can drop for keywords some of the languages is that provide a lot of traffic. This will translate into a much lower ROI from their international marketing strategy since ranking for the best keywords is key to getting the most value from your site. The good news is that new advances in big data have made improving user experience for website visitors in different parts of the world easier than ever. Here are some ways that digital marketers are tapping big data to create responsive website designs for users all over the world. 2018-10-04 22:31:06+00:00 Read the full story. The cinematic depiction of artificial intelligence as female and rebellious is not a new trend. It goes back to the mother of all Sci-Fi, “Metropolis” (1927), which heavily influenced the futuristic aesthetics and concepts of innovative films that came decades later. In two relatively new films, “Her” (2013) and “Ex-Machina” (2014), as well as in the TV-series “Westworld”, feminism and AI are intertwined. Creators present a feminist struggle against male dominance at the center of a larger struggle of seemingly conscious entities (what might be called AGI — Artificial General Intelligence) against their fragile human makers. In all three cases, the seductive power of a female body (or voice, which still is an embodiment to a certain extent) plays a pivotal role and leads to either death or heartbreak. The implicit lesson that keeps arising is: be careful what you wish for, both with women and with tech. The exploitation and oppression of intelligent machines (sadly this is was also the case in the lovely and optimistic “Her”) might be as finite and eventually painful as the exploitation and oppression of women. 2018-10-08 10:01:02.484000+00:00 Read the full story. The Bank Branch of the Future – manned by Humans or Humanoids? We are living in one of the most technologically connected eras in civilization which means that we should be emotionally healthier than ever before as people who matter to us are only a click away and we can connect with them anytime. Therefore it came as a bit of a surprise when in January, United Kingdom announced that it was appointing a Minister for Loneliness thereby acknowledging the sad reality of modern life and loneliness as a worldwide growing epidemic. Thanks to proliferation of technology and advancements in areas such as artificial intelligence and robots and the millennial being more comfortable with texting than talking to the person next to them, we may as well imagine centers of human interactions such as shops and bank branches of the future being reduced to a center of high end devices and machines to execute the transaction with humanoid robots assisting people where necessary. This imagination is further backed by a survey that claims that in the coming 10 years, bankers believe that only 7% of interactions will be in person. 2018-10-07 18:24:40 Read the full story. In May, Microsoft CEO Satya Nadella announced AI for Accessibility to put AI tools in the hands of developers, universities, NGOs and inventors to accelerate the development of accessible and intelligent AI solutions to benefit people with disabilities around the world. Today, we are announcing the first AI for Accessibility grantee, Zyrobotics. They are developing unique solutions for accessible science, technology, engineering and math (STEM) education, like ReadAble Storiez, that are adaptive to the diverse needs of students. We are thrilled to have them as part of our program and we can’t wait to see the impact they will have! ReadAble Storiez is a reading fluency program for students with diverse learning needs, which also helps fill in the gaps for students from low-income homes who may not have access to speech-language or occupational therapists. By creating custom speech models with Microsoft Cognitive Services and Azure Machine Learning, they aim to identify when a student needs feedback, much like an occupational therapist would recognize and provide. Calculating word distance in NLP is a routine task. Whenever you want to find the most nearest word or measuring metrics, word distance is a one of the way to achieve it. In my previous project, identifying target signal from OCR result is the critical part. To capture more valuable information, I have to tolerance a minor error from OCR result. Otherwise, I miss lots of important signal. Different from previous distance between word embeddings, string distance is calculating the minimum number of deletion, insertion or substitution required to change from one word to another word. There are numerous way to calculating distance while I will focus on two measurements in this sharing. 2018-10-07 15:09:30.028000+00:00 Read the full story. 2018-10-05 13:23:30.129000+00:00 Read the full story. China’s biggest tech companies have overtaken the giants of Silicon Valley in the race to invest in artificial intelligence and machine learning this year, according to new research for The Daily Telegraph. Out of around $14bn (£10.6bn) worth of AI investments made by the biggest eight US and Chinese tech companies this year, Chinese firms such as Baidu, Alibaba, Ant Financial and Tencent have taken a clear lead. Collectively, the four big Chinese groups have been involved in $12.8bn of the total, according to data compiled by Pitchbook, a financial data firm. Traditional middle-class professions are about to be wiped out. Wages will fall as people compete desperately for the few jobs that remain. Unemployment will soar, and a super-rich elite will split away from the impoverished masses. There are plenty of dystopian visions out there about the likely impact of robotics and artificial intelligence on the way we all work – along with demand that capitalism be reshaped to cope. But here is something odd. Over the last 20 years, as technology has boomed and computers and smartphones have transformed the way we work and communicate, employment has been hitting record levels. The main source of this news clip post is produced algorithmically based upon CloudQuant’s list of sites and focus items we find interesting. If you would like to add your blog or website to our search crawler, please email customer_success@cloudquant.com. We welcome all contributors.